It is most popular in the countries, Philippines & United Kingdom. 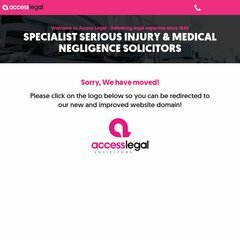 Topics: Conveyancing, Employment Law Advice, Medical Negligence Solicitors, Motoring Law, Personal Injury Solicitors, and Wills. The estimated 913 daily visitors, each view 3.60 pages on average. It is hosted by Ultima Business Systems Ltd (England, Berkshire,) using Microsoft-IIS/7 web server. ns6.netnames.net, ns1.netnames.net, and ns2.netnames.net are some of its 4 Nameservers. It is written for ASP.NET language.